Adobe Illustrator is one of the most popular programs design tools worldwide. Adobe Illustrator was first released in 1987 and as part of the Adobe Creative Cloud, Illustrator is widely used by professional illustrators, web designers, graphic designers, and visual artists to create professional and high-quality artwork. It utilizes a variety of sophisticated drawing tools that significantly reduce the time needed to create illustrations. Today the software is continually updated to better versions with better results. Although Adobe Illustrator is a complex program requiring a significant amount of time to master, it’s quite easy to learn the program’s basics and create professional work. As a professional illustrator, you require a laptop that can accommodate Adobe Illustrator software. As much as most laptops can technically accommodate Adobe Illustrator, it’s important to purchase a laptop that is capable of running this software smoothly without any challenges. So if you’re wondering which laptop is best to run Adobe Illustrator, just keep reading. Processor : Adobe normally recommends a minimum of AMD Athlon 64 processor or Intel Pentium 4. This is the bare minimum, having a multicore Intel processor with 32- or 64-bit support increases the number of threads the processor has to work with. Multi-threading allows the processor to carry out numerous tasks at once without the application lagging or freezing. If you are using other applications in the Creative Cloud Suite, the best processor for this application is any of the Intel i5 or i7 series. RAM: for information to be accessed quickly the processor stores it in memory. However, not all the needed information fits into the memory and the more the information in the RAM the better. Adobe minimum requirement recommendation is 2 to 3 GB of RAM. Most illustrators normally recommend a bare minimum of 4GB of RAM for 32 bit and up to 16GB for 64 bit for illustration work. Hard disk: Adobe recommends a minimum of 2 GB free hard disk space for installation. If you are using a hard disk drive, you need one that is at least 7200 RPM. For additional space, a solid state drive (SSD) is normally recommended. An external hard drive is also useful if you need more storage than the SSD allows. Display Resolution: Adobe normally recommends a bare minimum of 1024 x 768 display. For HiDPI you, however, need at least 1920 x 1080. HiDPI makes for a more detailed and sharper display. To use the Touch workspace available on Illustrator, you must have a touch screen enabled monitor. Graphics card: the minimum integrated graphics card recommended for Illustrator is the Intel HD Graphics 4600 Series and both Nvidia and AMD versions for dedicated cards. The GPU feature on Adobe requires better versions of these cards with at least 2 GB of VRAM. One of the things Adobe Illustrator is widely used for, is creating Vector graphics. Vector artwork uses mathematical relationships to create quality work that is independent of the resolution that the work is displayed in. Which means that any work created in Adobe Illustrator can be reduced and enlarged without altering image quality. Therefore, artwork created on Illustrator isn’t resolution-dependent, and the quality doesn’t decrease by either enlarging or minimizing. This feature makes it advantageous to use Adobe Illustrator for creating larger images like a billboard sign. Now that you have an idea on the types of laptop we’re looking at, let’s check our selected best laptops for Adobe Illustrator available right now. Seriously, is there a need to introduce the Aspire E15? The Acer Aspire E 15 E5-576G-5762 is part of the Aspire E series laptops that provides users a wide range of choices. The attractively designed and artistically pleasing laptop is jam-packed with lots of appealing features that are bound to exceed your expectations. With a great battery life and incredible performance, the Aspire E series is a great choice. 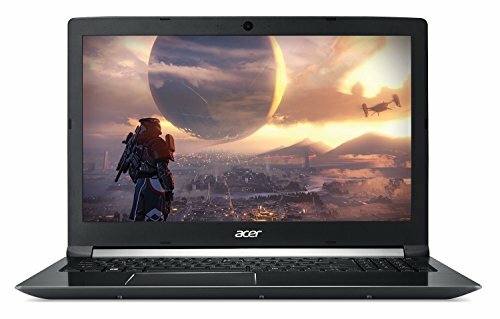 The E15 is one of the best budget laptops under 600$ capable of running Adobe illustrator and other Adobe Suite programs, such as Photoshop. This laptop comes with an 8th generation I5 processor, 8GB of RAM, a 256GB solid state drive and a dedicated GeForce MX150, which is an equivalent of the Nvidia 1030. The fact that the Aspire E 15 comes with solid state drive and 8GB of RAM will also help the overall performance and make the laptop more responsive. You can also add more RAM (up to 32GB) and more storage too. Battery life is another thing to note about the Aspire E15: while Acer claims it can last 12 hours, you can expect an average of 8 hours in real world use, which is excellent at this price range! The Acer Aspire 7 A715-72G-71CT has everything you’d expect from a modern multimedia laptop. 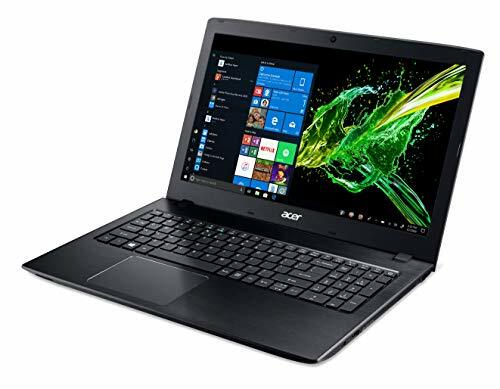 This fairly affordable 15-inch laptop is well built with the latest generations hardware and Windows 10 Home operating system that allows users to handle numerous tasks with ease. The Acer Aspire 7 comes with an 8th gen Intel i7 8750H processor, 8GB of RAM, and a dual 128GB SSD + 1TB HDD. For Casual gamers, there’s is also a dedicated Nvidia Geforce 1050Ti. The Aspire 7 also sports a gorgeous 15,6 Full HD matte screen. Viewing angles are excellent, and the color accuracy is also very good thanks to the IPS panel. The Aspire 7 is a good choice if you need a laptop for photo editing too. Acer Aspire 7 is a well-designed sturdy notebook featuring a brushed aluminum sheet cover. The bottom of the laptop is made of tough plastic with a grill to disperse heat. It also has a decent touchpad and keyboard that is comfortable and easy to use. The laptop also features a fingerprint reader with integrated fingerprint biometric system that allows a secure one-touch login. Battery life is around 7 hours. The Dell G5587 G5 15 laptop features high-performance graphics and stunning visuals. Specifically designed to make every experience more real and intense, this laptop features optimal cooling, discrete graphics card, and the latest Intel processors. It comes with an 8th Generation Intel Core i7-8750H Processor,16 GB of RAM and a dual 128GB SSD + 1TB HDD. This laptop is also equipped with an NVIDIA GeForce GTX 1050Ti graphics card with 4 GB of GDDR5 VRAM. Dell G5587 G5 15 features a sturdy “metalish” design which comes in matte black with Beijing red and accents. The laptop lid features a soft finish and large exhaust vents at the back. Despite its solid performance, this laptop is simple and stylish with a slim and light body that is preferred by most illustrators. For a 15’’ laptop, Dell G5587 G5 15 is a little bit heavy to carry around. ASUS VivoBook Pro 17 provides all multimedia essentials packed in a lighter and slimmer design. The laptop combines optimized software and hardware to offer unprecedented performance with vivid and lifelike visuals for any type of content. The Vivobook Pro 17 comes with the latest 8th generation quad core Intel processor and a dedicated NVIDIA GeForce GTX 1050 graphics card. The quad core Intel Core i7-8565U 1.8GHz (Turbo up to 4.0GHz) has a score of 9154 points on CPU Benchmark’s list, and in terms of performance, it offers a similar performance to the famous Intel 7700HQ. 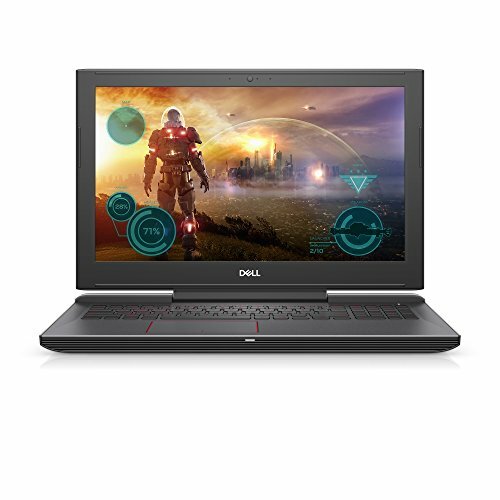 This laptop is also equipped with 16GB of DDR4 RAM, a 256 SSD +1TB standard drive for files, and an NVIDIA GeForce GTX 1050 4GB discrete graphics card; which makes a perfect choice if you’re looking for a casual gaming laptop, or a laptop for video editing. But the main reason why the VivoBook Pro N705FD-ES76 is on our list is its beautiful display. This laptop sports an impressive 17,3 inch screen, at Full HD resolution. There are many versions of the VivoBook Pro with lower displays, but the version we recommend here comes with an IPS panel that offers excellent viewing angles and covers 72% NTSC (100% of the sRGB gamut). 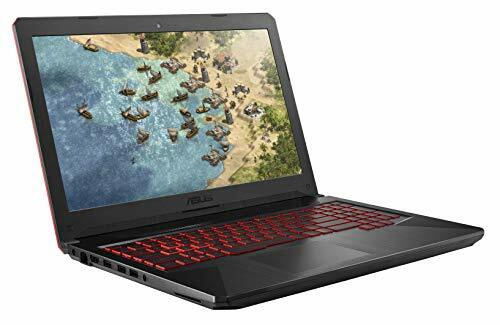 The Asus TUF Gaming FX504 has a toned downed design compared to the usual high-end and extreme designs on other gaming laptops. Aimed primarily for gamers, the FX504 can handle most modern AAA games and also provide more than enough power for handling Adobe Illustrator. 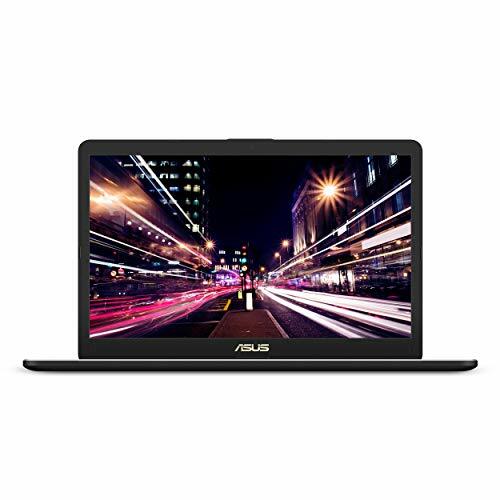 The Asus FX504GE-ES74 features an 8th generation Intel Core i7-8750H processor (up to 3.9GHz), 8GB of RAM, a 256GB M2 solid state drive and an additional 1TB hard drive, and GeForce GTX 1060 . Asus also equipped this model with a dual fans anti-dust system that helps prolong the FX504’s lifespan and provides stable performance for graphics-intensive gaming. The chassis is entirely built of plastic, but the build quality feels very solid.